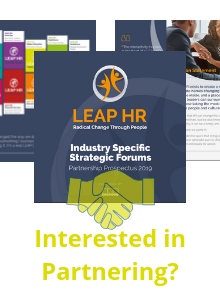 Develop: What Do We Need to Transform About our Approach to Maximising HR Impact? Action: What Changes Will You Now Make to Rethink How You Can Deliver True HR Impact? Develop: How Can We Radically Reinvent Culture in Our Institutions? Develop: What Traditional Thinking Do We Need to Challenge about the Role of HR in Higher Education? Action: What Will You Now Do Differently to Ensure Your Culture Is Enabling Your People to Deliver Their Best? 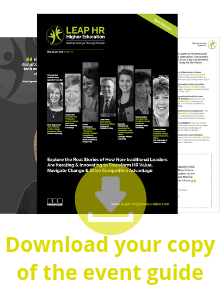 Action: What Will You Now Do to Rethink How HR Delivers Impact in Your Institution? Develop: What’s Working, What’s Not, and What’s Needed to Find & Attract Talent We Need? Develop: What Do We Need to Rethink About How We Boost the Engagement of All Employees? Action: How Will You Now Transform Your Approach to Talent? Action: How Will You Now Maximize Employee Engagement in Your Institution? Develop: What Traditional Thinking Do We Need to Challenge to Maximize the Impact of HR in Higher Education? Action: How Will You Now Rethink How You Demonstrate the Value of HR in Your Institution?